There are SO many travel search engines out there it’s hard to tell which one is the best to use. Well, lucky for you I’ve pretty much tried them all (Orbitz, Expedia, Momondo, Kayak, Google Flights, CheapAir, Priceline, Travelocity, etc, etc…) and I want to share with you the EXACT way I search for and book our flights personally and for all my travel clients. TIP: I made a video on my computer showing you exactly how I do this step-by-step so make sure you check it out below! Here’s the deal… I’ve tried every travel search engine out there and Google Flights is by far my favorite. No, this isn’t any way sponsored. They’ve just actually made it way easier to find cheaper airfare and narrow down all your options. Plus, the “explore feature” I show you how to use in the video is incredible. I start all my flight searches with Google Flights to get a general idea of cost. I LOVE the features of Google Flights and how user-friendly it is. If we have a little more time on a trip, I’ll look at prices to nearby airports on Google Flights too (since it may be cheaper to fly elsewhere then take a rental car, train, or another flight to the final destination). There’s a nice little “nearby airports” button on GF that shows you nearby airport options. Pretty handy. 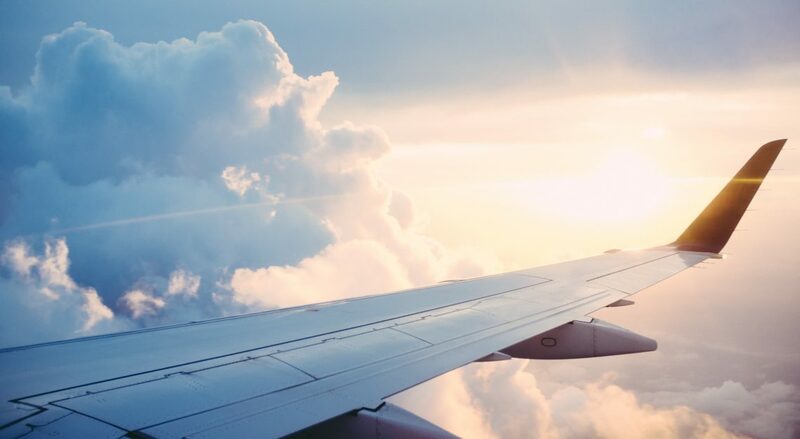 Momondo searches all major AND budget airlines so this is where you’ll find the best price if cost over flight time is more important to you. It does find the cheapest options but it likely involves longer layovers, stopovers, etc. Hear me out here… The only time Momondo is helpful to use is if cost is wayyyy more important to you than how long it will take for you to get there. NOTE: Scott’s Cheap Flights is another resource I use to get notified that certain flights are on sale. I still book through Google Flights but SCF notifies me that it’s on sale at the moment then I immediately go to SCF to book. I would recommend signing up to get those SCF email notifications if you like to travel. He sends all the sale fares he finds directly to your email inbox (you can customize what you receive as well).